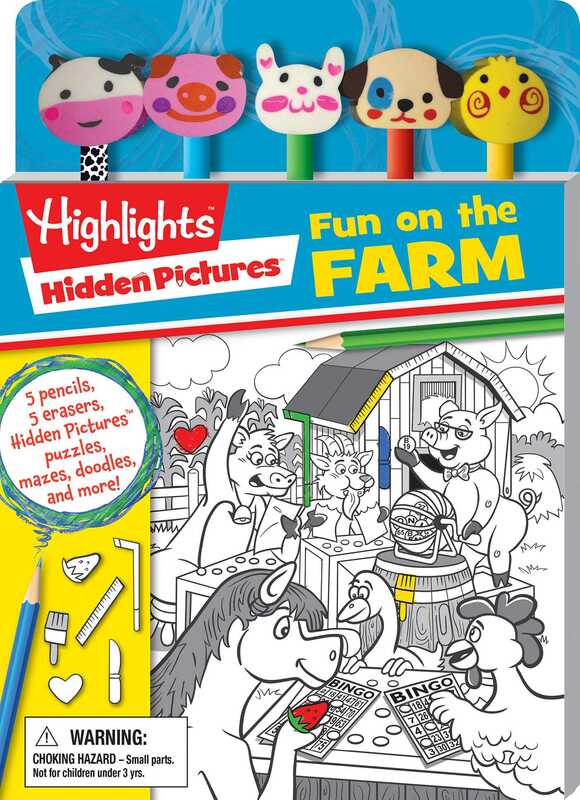 Have fun on the farm with Highlights Hidden Pictures! Highlights: Hidden Pictures: Fun on the Farm introduces young children to the fun of finding hidden objects! This engaging title brings an exciting new element to everyone’s favorite puzzle with fun and silly pencil toppers for added playtime fun. Filled with hidden pictures, mazes, puzzles, and more, this book is an unbeatable combination for Hidden Pictures fans everywhere!